Shades has a reputation for recognising talent and making the most of it - all of our staff have been with us since commencing their hairdressing career. Our Styling Team have all been supported and sponsored by Shades in the attainment of their skills and qualifications. "We pride ourselves on developing our own talent..."
As well as being the Creative Partner at Salon Shades, managing the business and staff Nikki provides creative direction, style and leadership. 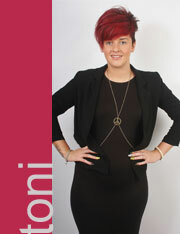 Nikki loves to get creative in every aspect of hairdressing. From ladies and men's cutting and styling, extensions to add length and thickness, colour, creative and corrective colouring, to make overs including hair up and make up for weddings or any special occasion, any day of the week. "I am honored to work alongside big names such as Andrew Barton from 10 years younger, Tracey Devine and Nick Malenco"
Keep up to date with tomorrow's hair! Follow Nikki's news below! Founder and partner of SalonShades, having styled for four decades, Ann still manages to remain current and contemporary. She has kept her entheusiasm alive by making sure she surrounds herself and remains influenced by a young entheusiastic and talented team. Toni has worked at Shades since 2004 and in that time has worked her way up to Senior Stylist and also helps Nikki with the day to day running of the salon. Toni has had lots of highlights whilst working at Shades. 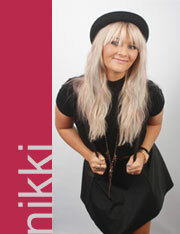 She has even modelled for Nikki on numerous occasions for competitions, photo shoots and even in magazines. 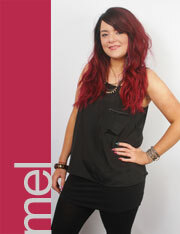 Mel specialises in colour, permant blow dries, straightening, beauty and spray tans. Alot of the finishing touches are down to her - she likes to make people feel great when she's finished doing what she does best. 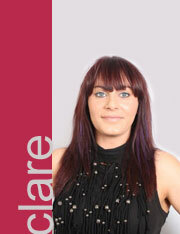 Tina has been at Shades since she left school in 2003 and mainly specialises in hair extensions and colour. Tina has developed enormously since I started and is becoming skilled in a number of specialism’s including Yuko permanent straightening. Tina also specialises in spray tans. 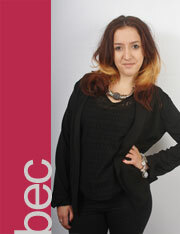 Becky has been working at SalonShades for a while now as she started as a Saturday girl before becoming full time. 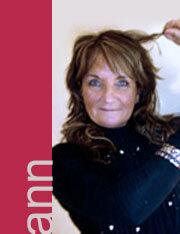 In the salon Becky does a lot of blow dries and colouring as well as make sure that all the clients are ok.
Hey! My name is Jay! I've worked at SalonShades ever since I left school. At the Salon, Claire specialises in colour.